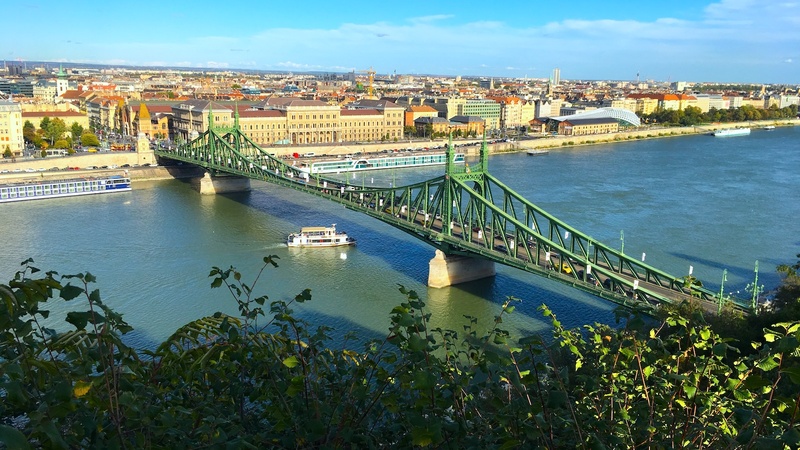 Budapest is generally a safe place, but it is still a big city, so if you don’t want any problems, read these guidelines carefully. Here we collected some practical information about Budapest for you. Learn about taxis, money exchange, public transport and much more. If you have further questions don’t hesitate to ask us. How to get from the airport to Budapest? 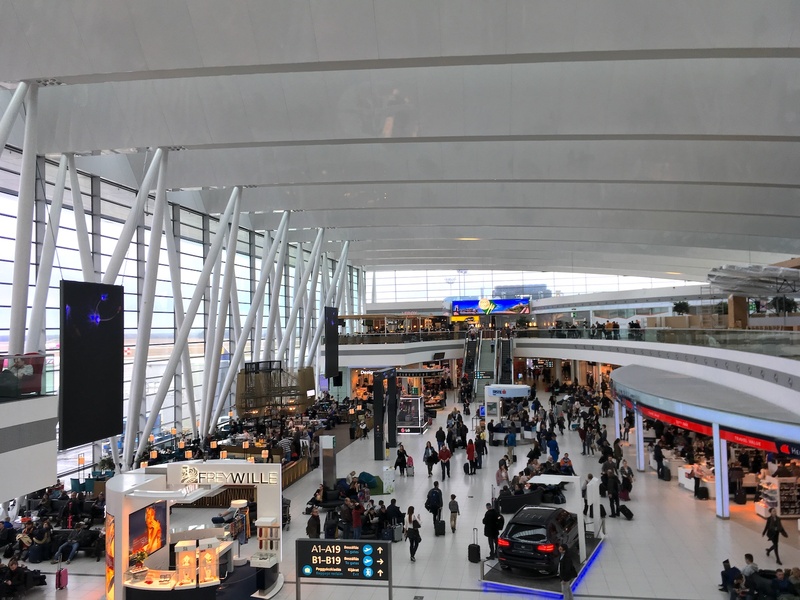 We wrote a super detailed guide about the Budapest Airport, but here’s the short version. The quickest way is by taxi: the official taxi company of the Budapest airport is Főtaxi. The price will be around 6-7000 HUF or 20-25 EUR, depending on traffic and your destination. The journey will take about 20-40 minutes. You can always pay by card. Don’t go with “independent” taxi drivers, they will likely overcharge you. You can also book a shuttle minibus before your trip or at the airport, to the city center it costs 4,400 HUF for one person, 5,900 HUF for two. Check other prices on the miniBUD webpage. If you are adventurous use public transportation: take bus 100E until the city centre or take bus 200E until Kőbánya-Kispest and there take the metro to the city center. 100E requires a special ticket for 900 HUF. 200E runs more frequently, and you need a normal single ticket for this (350 HUF), plus a single ticket for the metro, so the total cost will be 700 forints. You have to buy the tickets from a vending machine or from the purple coloured public transportation booth inside the building on the ground floor, they accepts cards. If you buy your ticket on the bus they only accept forints. You have to stamp the ticket when boarding the bus or before entering the metro. Want to know more? Read our detailed guide about public transportation in Budapest. Where to change money in Budapest? Hungary’s currency is the forint, the abbreviation is HUF. Nowadays one euro is around 310 forints, one US dollar is around 255 forints, but it can change from day to day. At the airport and train station only change money if it is very necessary – the exchange rates are a lot better in the city. (Taxis accept euros or cards. Public transportation tickets can be bought from a machine by a card as well, so you don’t need cash before you arrive to the city centre.) Always go to an office, never trust anyone on the street. Northline for example is a good company, avoid InterChange (orange design). A general rule is that there shouldn’t be more than 5 HUF difference between sell and buy in case of USD or EUR. Read more about it in our blog post. You can pay with euros in a lot of places, but the exchange rates are usually not as good as at the trusted offices. Where to use the ATM in Budapest? Only use ATMs at the bank offices, don’t use the random ones (Euronet) on the street or at the airport, their exchange rates are terrible. Most ATMs have forints, some would have euros, for example OTP Bank behind the Kempinski Hotel. How to get a taxi in Budapest? Never try to hail a taxi or to get one that is just parking on the street. They can take you on a much longer way and you will end up paying 2-5 times more than you should. Always ask your hotel or restaurant to call a trusted company. If you are on our tour we are always happy to call a taxi for you in the end. Usually you can pay by card in the taxis of Budapest, but ask it in advance. Budapest now has fixed taxi fares. The base fare is 700 HUF, then each km costs 300 HUF, each minute 75 HUF. Unfortunately Uber is not available in Budapest, but you can use the similar Taxify app if you have internet access on your phone. This might be the most convenient option for tourists. Only licensed taxi drivers can use it legally in Hungary. How to use public transportation in Budapest? Public transportation in Budapest is efficient and quick. You can use the same type of ticket on metro, bus, tram and trolley bus as well, but you need a new ticket every time you board – except on the metro where you can change between lines with the same ticket. A single ticket costs 350 HUF, a block of 10 goes for 3,000 HUF, a day-ticket is 1,650 HUF and if you are more than two people it is worth it to get the group ticket for 3,300 HUF (24 hours, maximum 5 people). For more detailed info read our ultimate guide about public transportation in Budapest! You can also use the public bike system called Bubi, find the know-how in our blog post. Can I drink the tap water in Budapest? Yes! In fact, our tap water has very high quality and usually good taste, and by not buying bottled water you can also do your bit for the environment. Almost any restaurant will give you tap water for free if you request it. But Hungary is very rich in mineral water, and Hungarians love sparkling water, so don’t be surprised if your waiter asks you if you want “still or sparkling”. When buying mineral water, the pink or red cap means no gas, the green and the blue cap means it’s with gas. Should I tip in Hungary? Yes, Hungary has a tipping culture – not as much as the US but much more than Spain for example. Some restaurants charge you 12-15% service fee, but it’s not the same as tips, so if you were happy with your experience you can still tip an extra 10-15%. If service fee is not included then tipping is highly recommended. In a self service place like a bar or a coffee shop rounding up the bill is customary, let’s say your drink is 650 forints, then pay them 700. In coffee shops there is often a jar for this. Can I bargain in Hungary? It is not traditional to bargain unless you are shopping at the flea market. You can also try it in some tacky souvenir shops, but not in the more modern style ones. By the way, here is our guide to find the best souvenirs from Budapest. Budapest is generally as safe as most big cities in Europe, violent crimes are quite rare, but here are a few things that you shouldn’t forget. Just like everywhere else, you have to be careful on the street not to flash your expensive watch or jewellery; pickpocketing exists, although it is not alarmingly common. Always change money at an office, never on the street. Do not gamble on the street – even if it looks like it is easy to win (we usually see this at the Citadella). Don’t take a random taxi on the street, always have it called. Avoid “birthday girls” on the street who want you to invite them for a drink in a specific place. Don’t leave your drink unattended. It’s very rare, but we’ve heard of fake policemen asking for your passport or “fine” you – it is not allowed for the police to demand money from you on the street, so never give them money and never hand them over your passport. Don’t buy anything from vendors who are just hanging around on the street (iPhones, belts, embroidery, etc.). And in general, just use common sense. If despite all your precautions you are a victim of any kind of crime, you have to report it to the police department of the district where it happened. The general emergency number is 112.